Vipers in HWDSB vs. HWCDSB All-Star Game! 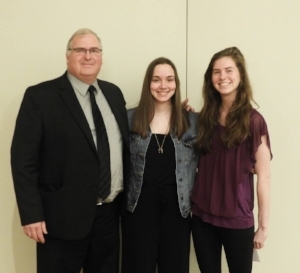 Congratulations to 16U Vipers Maya and Amy and 15U Viper Kristen for being chosen to represent their school boards in the Hamilton-Wentworth District School Board vs. Hamilton-Wentworth Catholic District School Board All-Star Volleyball Game this evening! Way to go girls, you have made your club and schools very proud! 15U Vipers win Bronze in 16U tournament! Our 15U team had one of the best tournaments of their season this past Saturday, as they played up in the 16U OVA Bugarski Cup and won the BRONZE! The girls started by finishing second in their pool, only falling to Ancaster Lions 16U. Vipers won the first set with a very close 29-27 score, but because there were 4 teams in their pool it came down to point differentials in 2 sets and Ancaster won by more points the second set. A highlight of pool play was when our girls won a set 25-1!! We lost the first point of the game but then served 24 serves in a row and played excellent defence to protect our side of the court! In the quarter-finals our girls had a tough cross over against Hamilton Smash 15U Teal who are ranked 54th going into the 15U OVA Championships (we are ranked 89th out of 140) and we came out on top in a very close 3 sets, with a final score of 15-10! After a two game break, the girls were matched up against the strong Predators Ignite 15U in the semis, ranked 34th in Ontario! Our girls gave it their all in very close sets, but unfortunately lost in the 3rd set with a score of 13-15. Both teams played amazing offence and defence, and players from the Predators team were impressed with how competitive we were! Not only did these girls fight hard all day but they endured one of the longest OVA tournaments we have ever seen! Due to all of the close games throughout the day their final Bronze medal match didn't finish until 8:00pm! Despite how tired and hungry the girls were they brought their A game right until the very end. They were matched up against Ancaster Lions again, but this time were able to pull out the win in a very close 3 set match, with the final score being 17-15! We are so proud of these girls for fighting so hard throughout such a long and hard tournament. 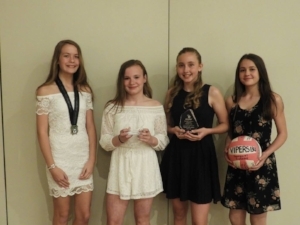 This tournament was excellent preparation for the provincials in two weeks, and we look forward to seeing them bring everything they learned on Saturday to the court in Waterloo! Our 16U girls also played well this tournament! Unfortunately they were matched up against the very tough 1st ranked Predators team in the quarters, but then went on to win 5th beating the 2nd ranked Hamilton Smash team in 3 sets! Well done Vipers! 15U Vipers are back at it again with a great OVA tournament finish! Our girls won 4/5 games in two sets on Saturday, only falling to Brant Tornados Orange in the semi-finals. Earlier in the season when we faced this team in the semis we beat them in a close 3 sets, but unfortunately this time Brant came out on top and later went on to take gold. Coming off of the semis our girls played great in the BRONZE medal final, taking the win! We are very proud of this team for finishing in the top 4 in all four of their OVA tournaments this season, and landing in the top 3 in all but the first! They are really breaking through this season and we know they definitely have more to come! Seeing the potential in these girls is so exciting and we look forward to seeing them play in the provincials and in Pittsburgh at the end of the season! Go Vipers! 13U Vipers score OVA Silver! Today our 13U team had their best tournament of the season, and their volleyball careers! They started out strong beating both MVC 12U and Hamilton Smash 12U in the morning to get 1st in their pool. 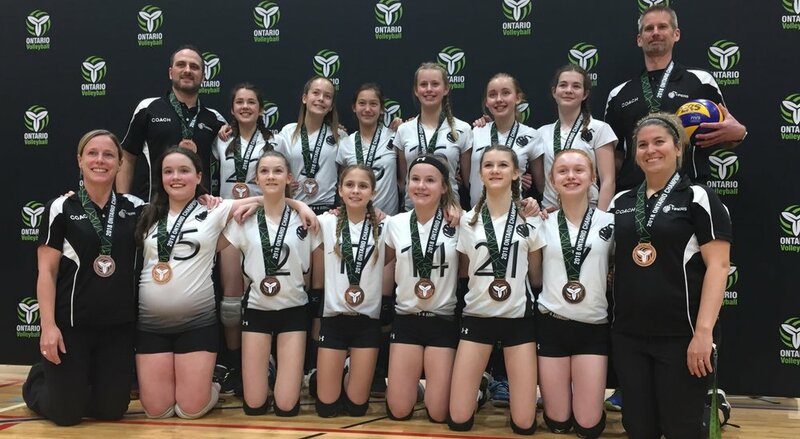 They were undefeated all the way to the semi-finals where they faced Niagara Rapids Summit, winning an exciting match with scores of 23-25, 25-20 and 16-14! The girls then went up against top ranked Halton Hurricanes Blue for the gold! Our girls didn't go down without a fight, taking the Hurricanes to 3 sets and hustling the entire game! 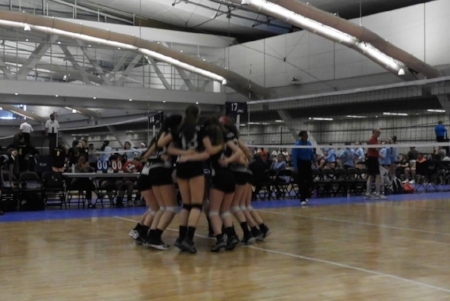 A SILVER medal is such an exciting way for this team to end their OVA regular season! 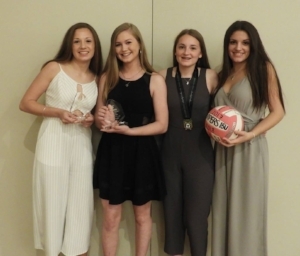 We are so proud of these girls and we know that they will continue to work hard at practice in preparation for the OVA Provincial Championships in April! 16U Vipers take OVA Bronze! This past Saturday our 16U Vipers demonstrated teamwork and dedication, bringing home the BRONZE medal at the OVA McGregor Cup! We've always known that these girls had great potential so it very exciting to see them rewarded two weekends in a row! The girls entered this tournament ranked 7th but that didn't stop them from defeating 6th ranked Waterloo Tigers Red in two straight sets in the morning, landing them 2nd place in their pool. The team then went on to defeat the Guelph Jr. Gryphons 15U Black team in the quarter finals with scores of 25-21 and 25-12. Unfortunately in the semis our girls fell short to a tough 2nd ranked Waves team, the team that later took gold. However, our girls were not done yet! They went up against 4th ranked MVC 15U and defeated them in 2 sets with scores of 25-20 and 25-22, securing the bronze medal! This is also an exciting milestone for the Grimsby Volleyball Association as all 4 of our teams now have OVA medals for this season! Making the 2017/2018 season our most competitive season yet! We'd like to wish our 13U Vipers good luck in their final OVA tournament tomorrow as well! 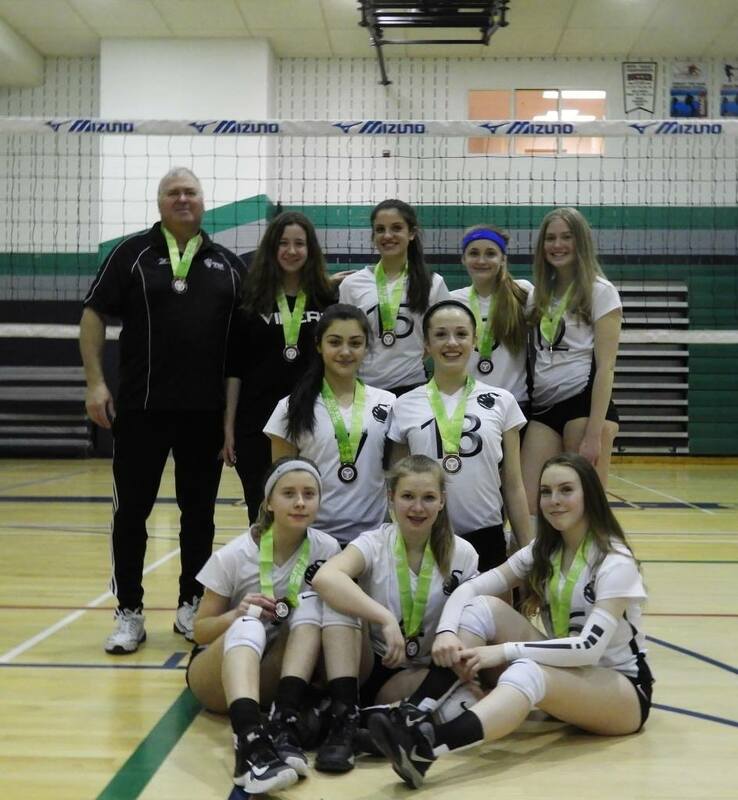 Last weekend our 16U team brought home a SILVER medal from the Markham Youth Volleyball Exhibition Tournament! We are so proud of these girls and we look forward to seeing how they take on the second half of their season! We will be cheering them on as they compete in the OVA McGregor Cup tomorrow! Good luck to our 14, 15 and 16U teams competing in tournaments this weekend!